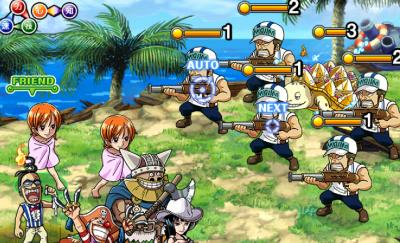 "Cyborg" Franky Joins the Fray!! 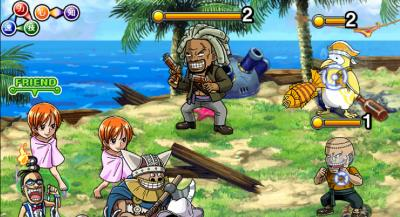 The long-awaited "Cyborg" Franky has joined the One Piece Treasure Cruise game!! 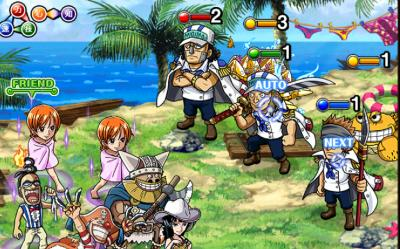 In the latest limited Fortnight island, you stand to capture the Strawhat's Shipwright himself. The 5 and 10 Stamina Franky Islands are easy and are a "breeze" as usual. 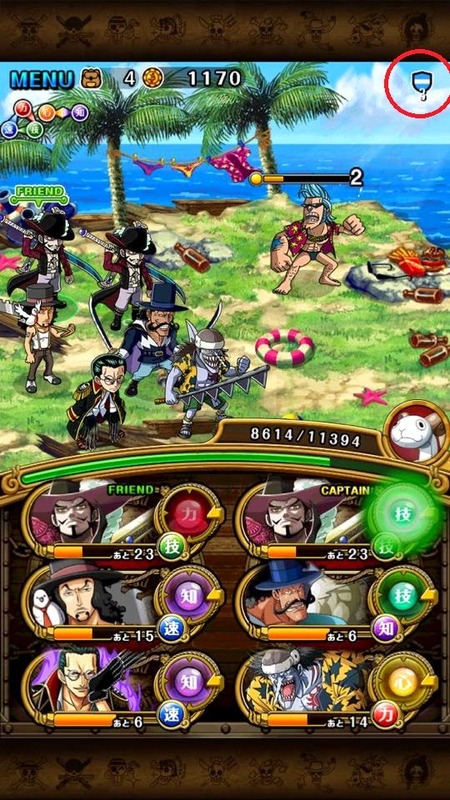 If you want a challenge, the 15 and 30 Stamina Islands are ready and waiting. 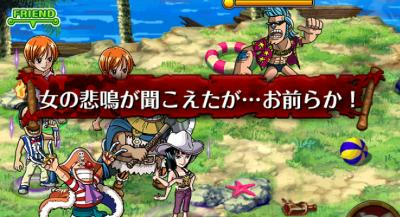 In terms of the 10 Stamina Franky Island, He will begin a "preemptive" attack + no orb special at the very beginning. 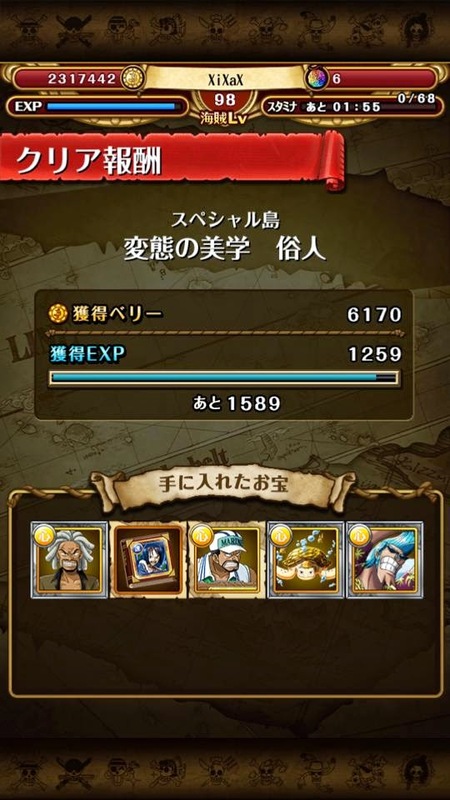 As mentioned earlier, the 10-Stamina Island is a cake-walk especially for Purple Teams. 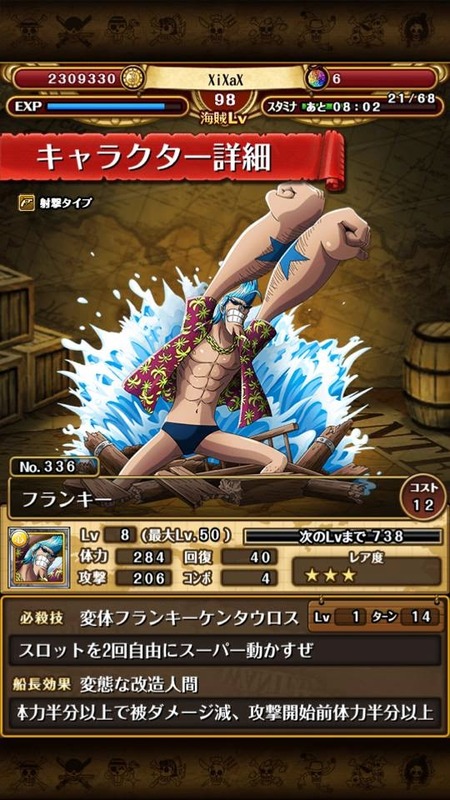 The 15 and 30 Stamina Island adds Franky's Special into the mix. 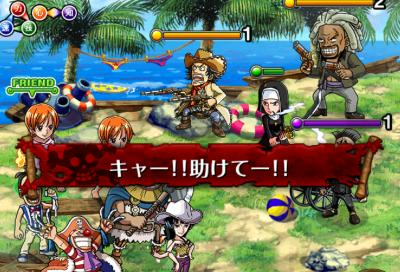 Franky will stop both your friend and your captain's skill for 1 turn (This include cutting your HP if you use "Flower Sword" Vista). 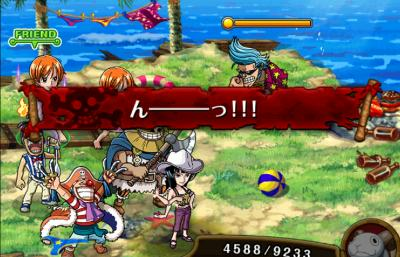 But aside from that, Franky's damage is on the low-side and is simply a mere annoyance for decent teams. 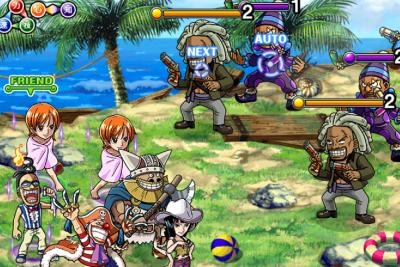 As mentioned, Purple Teams are your friends - Nami, Nico Robin, Basil Hawkins are all excellent choices for your team to ensure victory against "Cyborg" Franky. 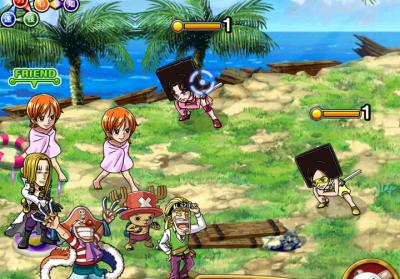 The Boss himself isn't so tough and the aggressive nature of Purple Teams should be enough for you to pull through and make this one of the easiest event Islands out there. Stall as much as u can on the first level. Nothing in particular. Stall and beat. The nun has 1 health so keep her for last. Gives one extra stall turn. Nothing in particular. Stall and beat. Try to get an orb boost and as always stall. Not even gonna say what to do anymore!! 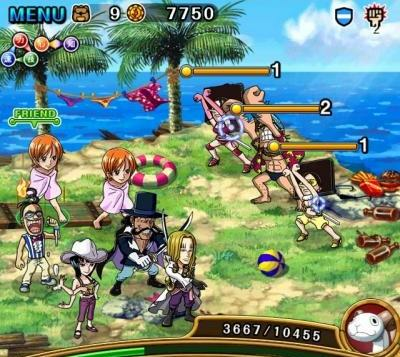 Try to get favorable orbs!!. 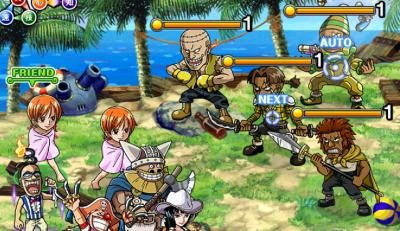 4088 damage of pre-emptive attack. 4 turns of wait easy peasy. 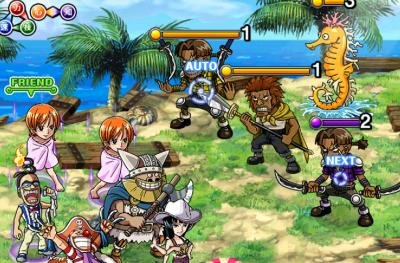 after Turn 8 Franky will continue to damage 5980 with a 2 turn interval. 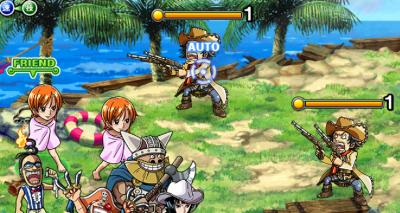 Kiwi and Mozu will do defense UP and attack power UP in the first strike. 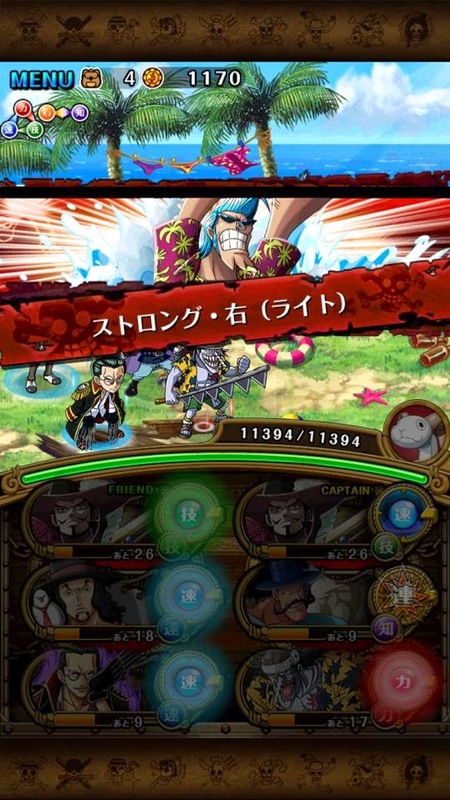 It will be way harder than a single Franky. SUPERRRR GOOD LUCK GETTING FRANKY ! !